Have you ever tried radicchio? This tasty winter lettuce is a great source of lutein. It tastes great with orange slices and a zesty dressing of olive oil and lemon juice. 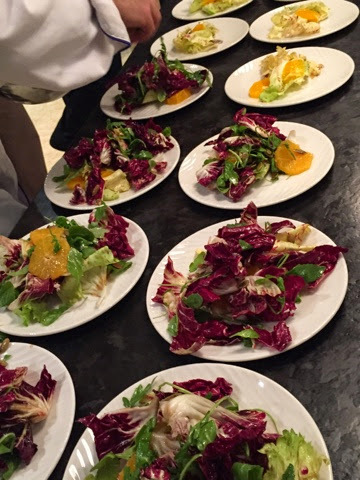 These salads were prepared by chef Tony DeLuca to celebrate my mom's 80th birthday. They were a great way to end a delicious meal! For more information on Eyefoods please visit http://www.eyefoods.com.